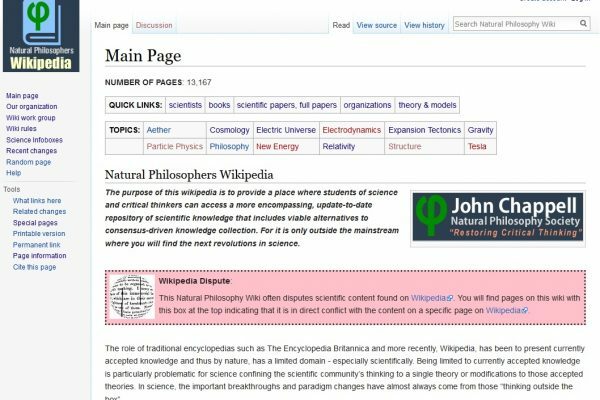 A Science Wikipedia that allows for alternative science theories, models, and ideas as well as disputing content in Wikipedia.org. It is in response to the fact that Wikipedia.org is based on consensus and does not allow for alternative science. The wikipedia current has over 13,000 items.